There is no such thing as a “best” Frank Ocean song, as evidenced by his four critically acclaimed albums –– “Nostalgia, Ultra,” “Channel Orange,” “Endless” and “Blonde” –– 19 charting singles and various mediums of visual and performative art. But the WSN staff tried its best to compile a list of songs that we deem is his best work. From the widely unknown and underrated “Higgs” and “Futura Free” to the undeniable “Nights” and “Biking,” sit back, relax and let this playlist take you to the Pyramids tonight. While his repertoire is too brilliant to pick his “best” song, Mr. Ocean most certainly earns the superlative. Whenever I listen to “Biking,” I understand the people who claim everything happens for a reason. The song starts off with Jay Z rapping, “Life goes in cycles, what comes around goes around,” setting a nostalgic tone with a hint of karma. Then, Ocean uses the metaphor of biking to help us understand that the hardships, lost loves and nostalgia we all feel in life is a feeling that “just comes and it goes.” We even get a glimpse into Tyler the Creator’s life through how the playful thrills of riding a bike apply to his everyday life. “Biking” is not only a beautiful ode to the passage of time and emotions but it also serves as a ballad to which everyone can relate. It puts all of our experiences and feelings into the context of something as simple as riding a bike. A bike is something that you have to learn to take a control of — just like life. “Self Control” is one of the few songs that I absolutely must sing along to, regardless of location or time. The song begins with Ocean setting the scene of where he met his lover in the summertime, but he quickly transitions to describe the pain resulting from this relationship. Singing “wish I was there, wish we grew up on the same advice, and our time was right,” Ocean describes a relationship that has ended out of self-control. Yet, he still longs for the other and asks that his lover always remember him, even if there is someone new because Ocean knows that “now and then you miss it, sounds make you cry. Sometimes you dance with tears in your eyes.” We all have had that person who we know we shouldn’t be with, but, like Ocean, we wish we could ignore our self-control. Ocean’s often-overlooked visual album “Endless” is actually packed with plenty of fantastic tunes. “Higgs” is a definite standout, with Ocean delicately crooning over a stripped-back acoustic guitar in a haze of reverb. The lo-fi aesthetics combined with the poignant lyrics make for a somber and sharply articulated emotional ride through Ocean’s psyche. The lyrics are haunting and personal but never reveal too much. Ocean seamlessly weaves fatalism with romantic rumination in an expertly coordinated fashion that is only compounded by the deceptively simple nature of the song itself. This entry in Frank Ocean’s extensive discography is super obscure, but I don’t care. I’m the king of obscure. “Futura Free” serves as the final track on Ocean’s critically acclaimed 2016 release “Blonde,” and it fully deserves to be. Clocking in at just over nine minutes, the song’s length and subject matter are a daunting task for the average music listener. But upon unpacking its heavy themes, one might feel a little wiser and a little closer to the enigmatic singer himself. The composition is simple: just Ocean, a piano and some guitar feedback. Similar in theme to other rap narratives of overcoming, like Cardi B’s “Get Up 10,” Frank bares it all when singing, “I used to work on my feet for seven dollars a hour … I ain’t making minimum wage momma … Now I’m making 400, 600, 800k momma … Play these songs, it’s therapy momma, they paying me momma.” There is so much emotion alive in this song, which is exactly what makes “Futura Free” my absolute go-to for a good cry, a good run or a good eight-hour loop when studying in Elmer Holmes Bobst Library. 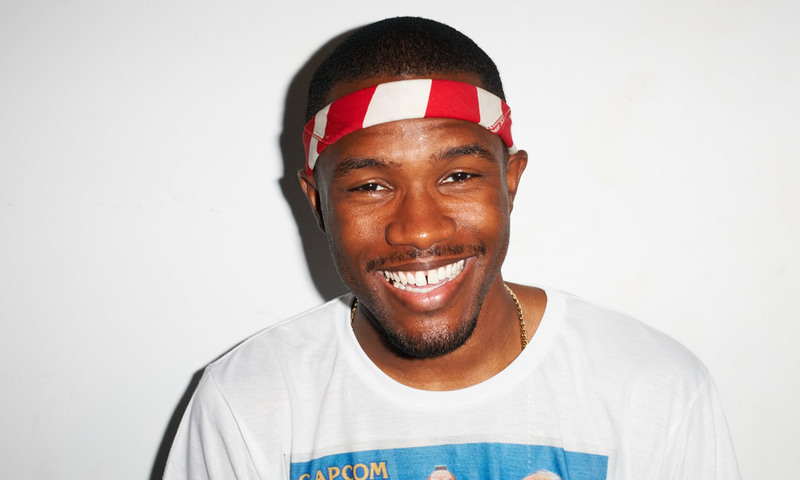 I was on an awkward Tinder date a couple of weeks after Frank Ocean shocked the world with the release of “Blonde.” Nobody seemed capable of talking about anything else, and my date, who wasn’t exempt from the bug, kept rambling on about “Nights.” When he said the name, I barely recognized it. But when I went home, I put on my headphones and listened to it over and over again. It’s so incredibly beautiful, especially right after the three-minute mark when the guitar reaches an anarchic climax, and the second part of the song begins. The lyrics remind me of long nights spent working, and even longer days spent dreaming. When Frank Ocean dropped the single “Moon River” earlier in the year, he simultaneously tugged at the heartstrings of every person in America. The first time I listened to it, I honestly didn’t know what I was experiencing, but I knew I didn’t want it to end. Ocean’s voice intermingling with the chords brought me to tears almost instantly. It’s a song about parting ways with a loved one — it has all the poignance of a breakup song with none of the closure. Listen on repeat if you need a good cry and you will leave the experience feeling pounds lighter.